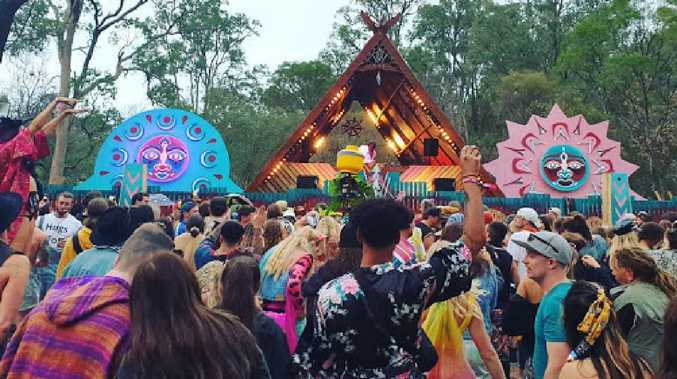 DIMI Petratos has been withdrawn from the Socceroos' camp in Turkey with an ankle injury, opening the door for near-World Cup bolter Fran Karacic to impress new coach Graham Arnold. 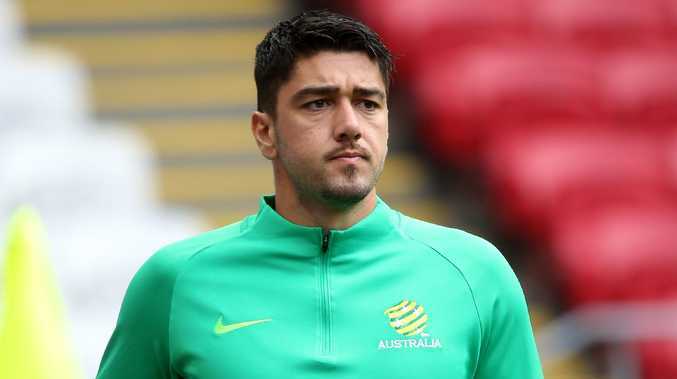 Petratos, who was a member of Bert van Marwijk's Russia squad but did not play a game, sustained a grade-one ankle ligament tear during Newcastle's 1-0 FFA Cup loss to Melbourne City on Wednesday. He copped a first-half knock from Dario Vidosic but, while he finished the match, scans have confirmed the playmaker will be out of action for about 10 days. It's believed the Socceroos' Newcastle-based physio Phil Coles assessed Petratos at Jets headquarters before it was decided the 25-year-old would not fly to Antalya on Sunday as planned to meet the rest of Arnold's 31-man squad. While a let-down, his absence is unlikely to hurt his chances at selection for upcoming pre-Asian Cup friendlies. It's also provided an unexpected opportunity for Croatian-Australian right-back Karacic, who it's understood has been summoned as a replacement for Arnold's first camp in charge. 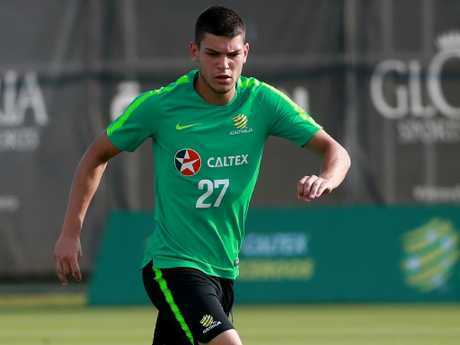 The 22-year-old Lokomotiva Zagreb right back was a left-field selection under interim boss van Marwijk and came close to a maiden World Cup in green and gold despite having never set foot in Australia, the country of his father's birth. He was one of four players to miss the cut when the group was shaved down to 23 just days before the tournament. Now the Croatia under-21 international has another chance to lock down a notoriously problematic position. He'll face stiff competition from Western Sydney's Josh Risdon who, now the only A-League name among the camp's heavily Europe-based contingent, is also the only other specialist right-back selected. Many have been tested in the role including centre-back Milos Degenek, who was deployed there during Ange Postecoglou's tenure, and even Bailey Wright was put there by van Marwijk for May's friendly against Norway. The Socceroos won't play a match during the September international window but are planning a friendly for October, likely in the Middle East, before two home November friendlies against South Korea at Suncorp Stadium in Brisbane and Lebanon at ANZ Stadium in Sydney.